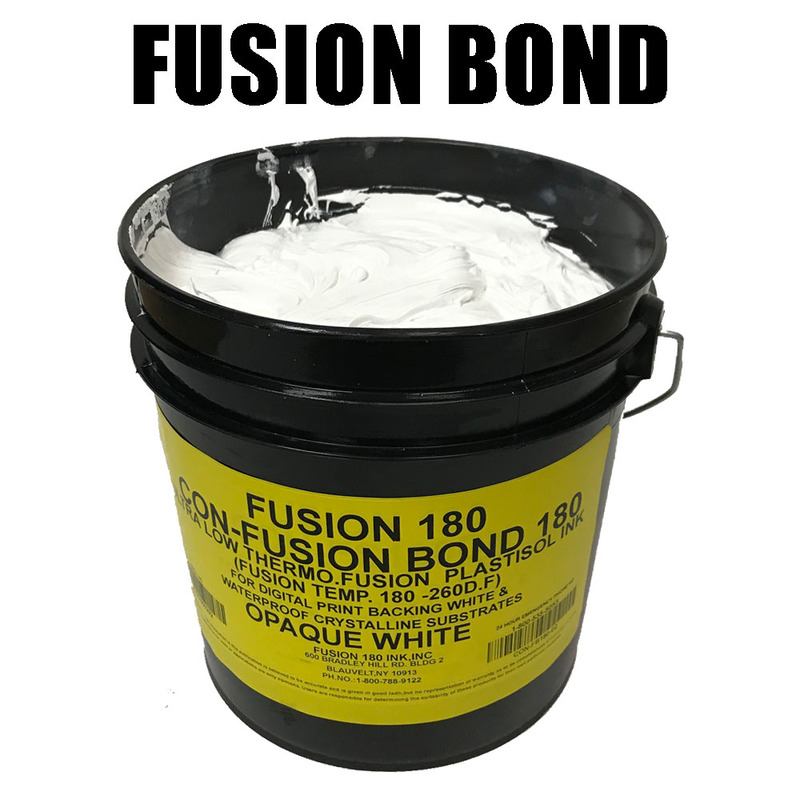 Fusion Bond is phthalate free plastisol ink with a coupling or bonding component. Fusion bond makes the ink behave as if it has a catalyst, yet does not have one and stays soft. A direct screen print will stick to heat sensitive coated materials. The ink cures at 220°F -240°F. Fabrics that can stand the heat of a flash can be cured with a flash at 450°F for 4 seconds. This includes polyester and cotton bags. Fusion bond was specially formulated with coupling capability for a revolutionary transfer method that eliminates weeding on colored garments. Fusion Bond was formulated specifically to couple with four color process toner. Print clear polyester coated sheets with a Ricoh color copier. Fusion Bond is printed directly onto the sheets with a transfer press. 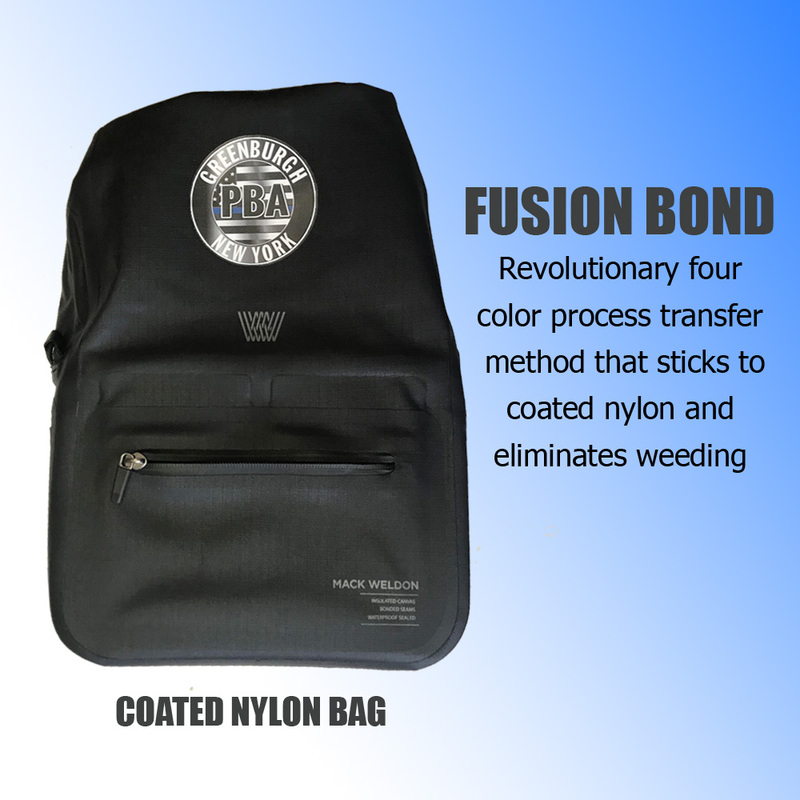 Fusion bond enables you to create bright, durable four color process transfers that require no weeding and will stick to almost anything including coated materials. This ink is available in our white or stock colors. 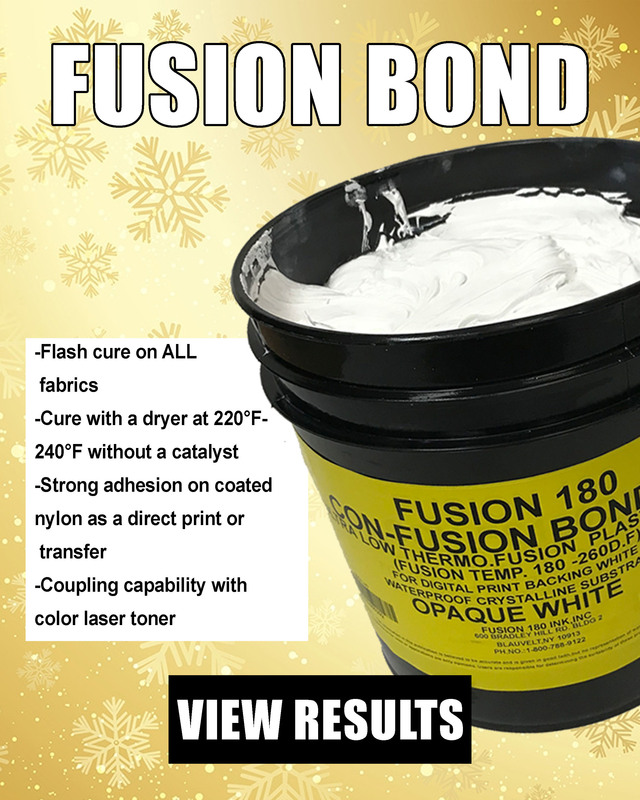 Click the image or this link to view the results and watch our video about Fusion Bond!